Welcome to the first European boutique hotel, Kimpton De Witt Hotel, which exudes a modern approach to luxury through fresh, refined rooms and imaginative spaces steeped in inspired Dutch design. Experience an immersive labyrinth of contemporary millwork, lush layers and clean lines. A journey where rooms open to rooms with grand inspiration and eclectic treasures. Nestled in the heart of Amsterdam's thriving City Centre our hotel inspires you to imagine, explore, create and find a comfortable place to relax. Unwind in our leafy garden conservatory. Savor a meal at our local restaurant. Cradle a nightcap in our cozy House Bar, which dates back to the Dutch Renaissance. Much like our unique personality and heartfelt service (without the attitude), consider our intimate boutique hotel your personal sanctuary. Opening sometime Spring 2017! We offer a full American breakfast buffet. The Kimpton Hotels highlights above are subject to change without notice. 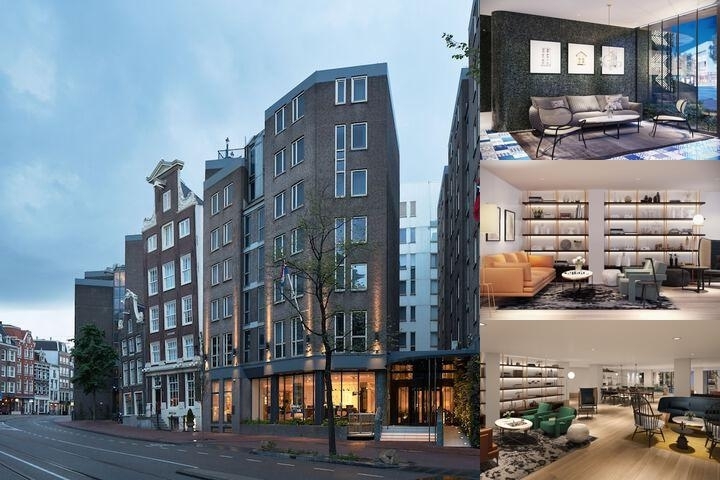 Below are the meeting, banquet, conference and event spaces at Kimpton De Witt Amsterdam. Feel free to use the Kimpton De Witt Amsterdam meeting space capacities chart below to help in your event planning. Hotel Planner specializes in Amsterdam event planning for sleeping rooms and meeting space for corporate events, weddings, parties, conventions, negotiated rates and trade shows. 11 x 7 x 3 M.
11 x 14 x 3 M.
11 x 21 x 3 M.
6 x 7 x 3 M.
7 x 14 x 3 M.
6 x 9 x 2 M.
9 x 6 x 2 M.